My partner and I drove up to Canada this weekend for a wedding. My travel jackal got a buddy for the ride! Very cool! Anpu and Set accompany me in my car everyday! 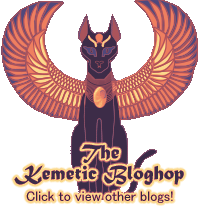 Carrying Their Light is the devotional website of Sobeqsenu, a priest of Wepwawet and Sekhmet-Mut. These writings include devotional poetry, contemplations, and accounts of personal experiences with these gods and others honored in Kemetic Orthodoxy. All of these writings are personal reflections and are intended to be read as such. tw: suicide . . . . 70 days ago, we lost a friend to suicide. Today I will be honoring her by reading the heka to help her become an Akh. I am also trying to raise $70 to support suicide prevention efforts. Please visit http://theovernight.org/participant/degallo17 to learn more about how you can help. Together, we can #stopsuicide . 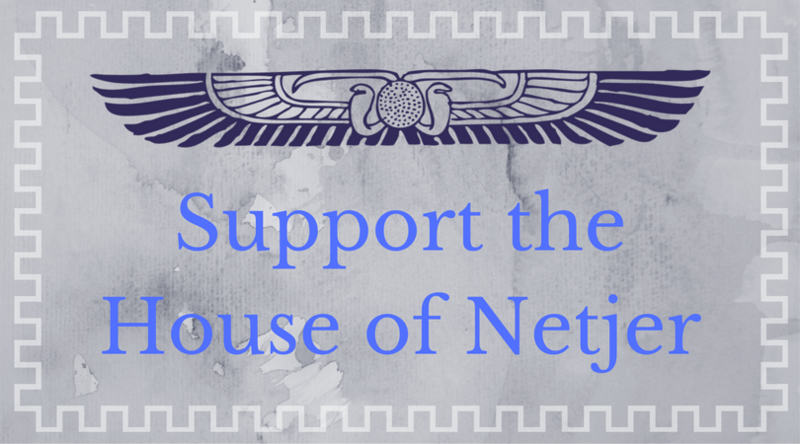 Today, #kemeticorthodoxy is observing the vigil of the #wesirmysteries. Hourly prayers will be said from dawn today until dawn tomorrow, and a constant vigil will be kept across hundreds of shrines around the world. #duawesir ! This site and all contents copyrighted © 2008-2018 by Rev. Sobeqsenu and may not be reproduced or copied in any form without express written permission.